I had a group project which was to work on a project with my classmate. 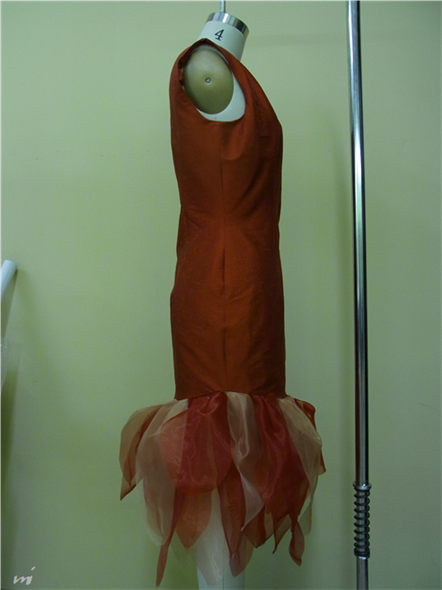 The assignment was to make one garment from the theme "Red Carpet". First, we designed a dress. In order to design the dress, we brainstormed the idea and muse which is icon. We decided a "Wild red flower" as the inspiration. We also needed to think about one customer profile for the dress. 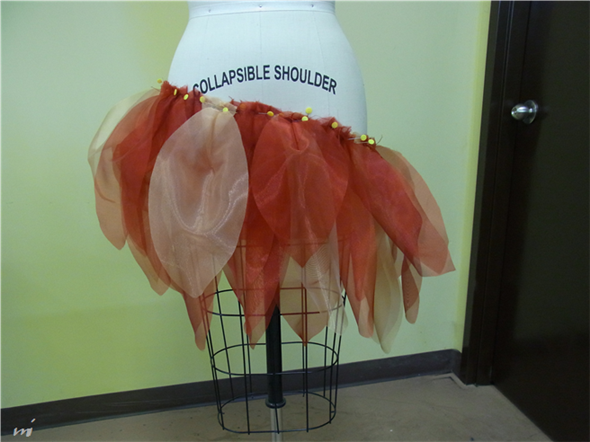 From the idea and customer profile, we design our dress had flower petals on the bottom of the dress. Actually, teacher helped us to design it. Secondly, we chose some fabrics for the dress. 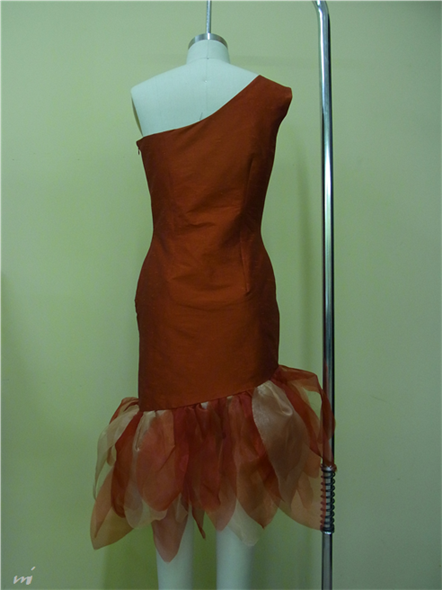 We chose satin for the body part and organza for flower petals part. Organza is easy to fray after cutting it, so we used glue in order to prevent the organza flower petals from fraying, and to keep the petals nice and clean. We put organza in a glue water and make them dry. 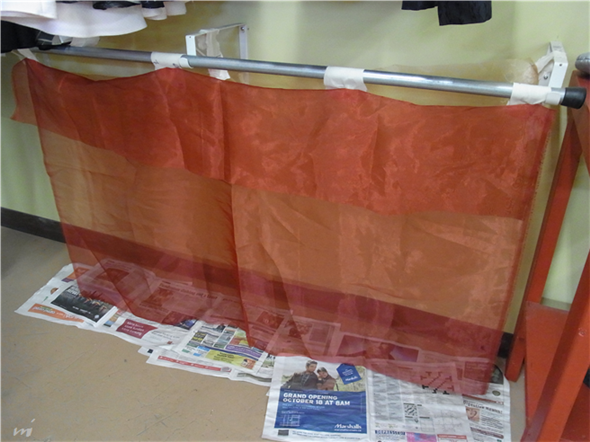 Next, we made patterns and made a sample by using muslin. We adjusted sample and fixed patterns. Finally, we sewed the dress.